So if you haven't seen the new UI that the devs are working on in the Development Roadmap, there it is compared to what the UI is currently. Let me start off by saying that this post is for cosmetic purposes that I feel would add a lot more variety and freedom to chose in the game. One aspect that I always felt was missing from NW was the inability to have different rank selection for units, meaning that for most choices you were either a private or an officer of an unspecified rank. I feel like I can speak for the community when I say that allowing each unit their own officer class would be a great edition and really satisfy my nostalgia (there's something wrong with the 92nd unit being led by an English officer). But why stop there? 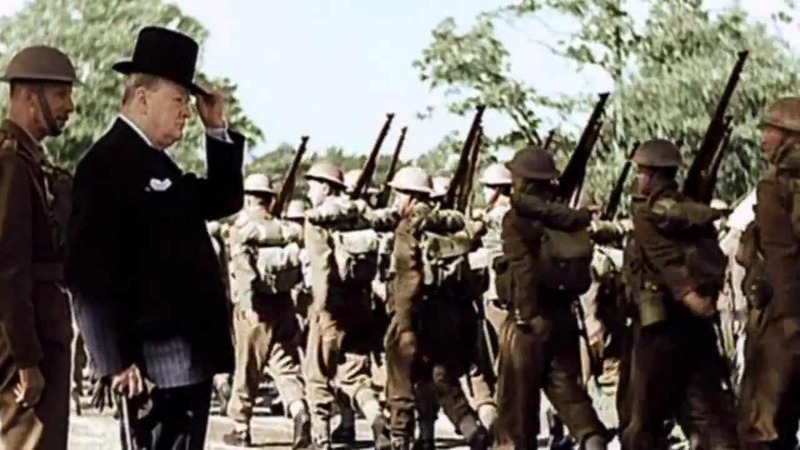 From a regimental standpoint adding rank variation would be a great addition for regiments so they can visibly spot out where their NCOs and Officers are on the battlefield. It also helps privates to identify who they are following and where the NCOs are to help guide them. I like the way the new UI has everything laid out and how they kept the unit tabs that we currently have and allowed further selection from there. There are a few ways to cut-down on unit selection space for those that are worried about the list getting too long. For example, instead of having musicians, surgeons, carpenters, flag bearers, and officers in their own tab on the left hand side of the new UI, we can create a new tab to put them all into. The new unit could be titled "Specialists" or something and we could either have the musicians, surgeons, and carpenters in there. On the other hand, we could have just the surgeons and carpenters in that tab and add musicians to each unit and allow them to be selected in the class tab on the right hand side of the new UI. Either one would work I think that would have to be a prefreance of the community if they wanted individualized musicians for each unit or generic musicians in the Specialist tab. 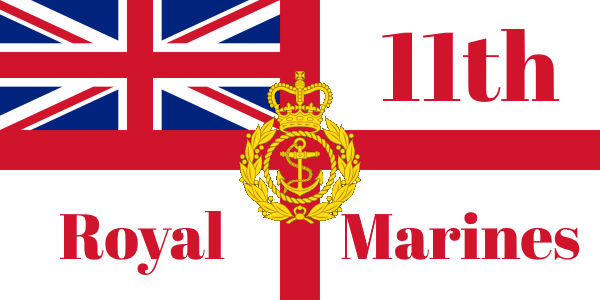 Another thing is for land modes they should really add marines, and possibly coastal and naval units. After you've selected which unit to play as, you can then choose what class you want to choose. By default the portrait in the middle will show a private of that unit, and when you want to change class, then the portrait will update. For example, say that I wanted to play as a 92nd Sergeant. I'd select the 92nd unit first, select the spawn tab on the right and choose where you want to spawn. Then on the next tab I'd select the sergeant class and the portrait would put 3 chevrons on both arms and then you'd be ready to go. Correct me if I'm wrong, but I think that this is how the ranks are organized. In addition to displaying insignias next to the ranks on the tab. The NCOs are probably the more easier ones because for most you just have to slap some chevrons on and maybe a sash, but for some units the officers need to be made in the first place and have slight variations according to their ranks. Maybe different number of epaulettes on their shoulders and gold/silver lace on their bicorns and just remove the flag harness from the ensign and make that the lieutenant class. I'd love to see more variation of ranks on the battlefield and I really think that this is a great cosmetic aspect of the game for regiments. Adding specific officers to these units seems pretty essential, but I do realize that this will probably not be very high on the priority list for the devs right now. Just sharing some of my ideas, love to hear what the community thinks about this and specifically what kind of variation would you like to see with the officer ranks if multiple officer ranks were to be added into the game. Hell, I've got experience with 3D modeling and animation and would be completely willing to do it for free. I personally don't think that there needs to be so many command classes. One officer for each class variant would be fine. Maybe when you click on the class, a drop-down menu opens where you can select Ranker, Ensign, Musician or Officer? I was making the case to the new user interface that they've shown off in the Development Roadmap where there is a class tab on the right hand side where you could select all these things where as the type of unit you can pick is on the left. Sure not all the officer ranks are necessary, mainly I'd like to see all the different NCOs that you can select and see on the battlefield. Yea, be nice to be able to select multiple ranks from one unit. Well considering the game is also very regiment oriented, it would be a disappointment to not allow people of other ranks to have specialized ranks. Do I think there should be as many as he listed? No. However, it could add a lot and also minimize confusion in a regiment's line if there are different high-ranking officers participating. So I think that would be a good compromise. While I understand the desire for ranks and such - the amount of work that goes into those models might be better spent. Just my 2 cents. I think if uniform ranks are added, they should be randomly generated like the character's face - unless AGS plans to add character customization to this game. Good work on the post though, I would have no problem with what you propose if it's what AGS decides to work on. I'm hoping that along with a new use interface we will also see cosmetic options along with it. I would love to have an option to have a backpack or a different type of hat for some units like Officers. 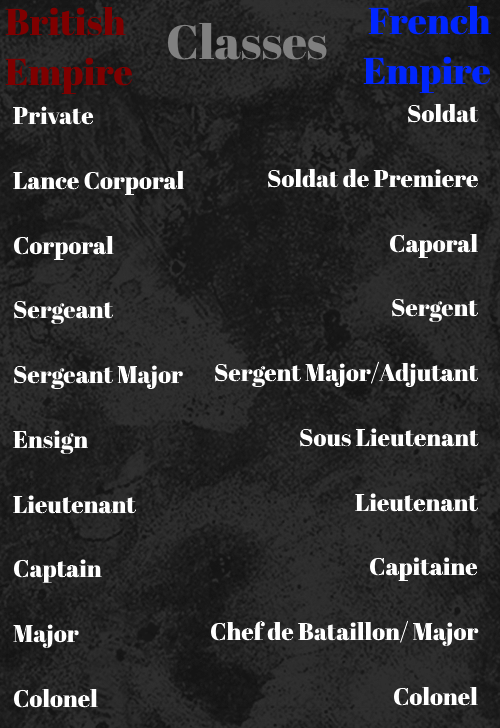 You forgot Lieutenant Colonel & Sergeant would've been spelt as Serjeant to my knowledge. I would love to see something like this implemented, I know that a modification like North & South which was on Mount & Blade attempted this slightly but due to the increase in the amount of troops to select from the menu became rather laggy but I do not fear that with a more advanced engine. I'm really excited for this UI. AGS is doing great work polishing things up and this looks like a great next step. Regardless of the potential for cosmetics, it's just the look and feel of the game I'm excited to see improve. Hello! The design that we've shown for the new spawn menu is incomplete. 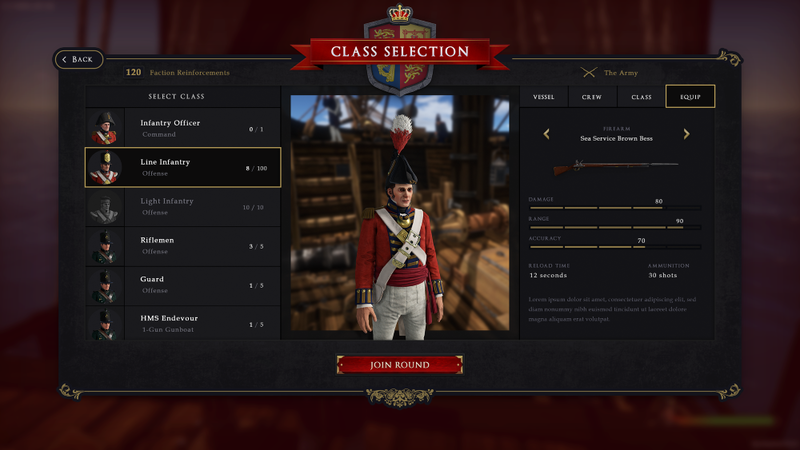 It'll feature arrows that will allow you to select different uniforms per class. Showing the line infantry class twice in the current user interface is only a temporary solution. I do certainly hope we can get to integrating this into the game soon! For the upcoming update we'll be focusing on improving the core mechanics along with additional content to encourage more activity on public servers.